As we face mounting challenges in a society built on interlocking systems of oppression, both our individual and collective bodies are overcome with stress, dis-ease and instability. These conditions are not made of stone, though sometimes feel immoveable, unchangeable. But we are always at the center of movement, and movement is change. In this series of seasonal workshops, we realign with our natural ability to work in collaboration with the living, breathing cycles of Nature. In this dedicated time and space throughout the dying season and into the spring season, we will recalibrate our body-mind to keep our most powerful selves intact for the ongoing task of unravelling the systems that are no longer serving us. 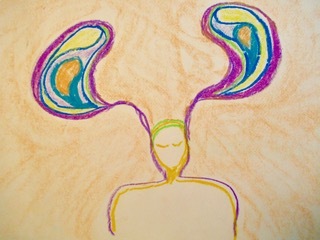 Taking cues and lessons from seasonal cycles and current astrological events, we’ll freshen our sensory input and engage through different body systems to reveal how these elements resonate and express within the fabric of our bodies. We’ll archive our findings. Open to all levels of movement experience, each workshop is laboratory style and includes teachings of current influences, time for personal warm-up, guided movement practice and time for open personal exploration and archival. Each workshop addresses the current seasonal influences, so no two workshops are the same. We have turned over to a new solar year, and very subtly, energy is beginning to rise as the days become longer, under the influence of the new moon in Capricorn. As Lena Stevens writes, this sign “rules the bones, the foundation of the body, where our stability comes from and where we store our most ancient patterns. Capricorn’s mission as guardian of the community is to preserve stability, to build on what has gone before, to protect and to increase” the effect of one’s actions. In this workshop, we will anchor our new-year intentions in the social and political aspects of our lives through working with the bones, which are not only structural, but also living, breathing and life-generating. The end of winter is never abrupt. It happens under our noses, with tiny sprouts rising imperceivably under the layers of soil and cold, hard earth. The natural world knows that the best conditions for growth is the liminal space between cold and the slightest shift towards warmth. In this workshop we explore slow motion and variations of acceleration. We engage our sensory input through extreme slowness and seek the internal impulse towards movement. In this way, we work with the lively tension between the slowest and the most accelerated, charting the territory between ambition and sustenance, of which we need all variations in order to sustain our health and wellbeing for the long-haul of work that is needed for change. 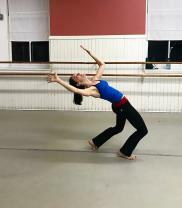 Janna Meiring, is movement-based performing artist, writer and teacher, currently based in Philadelphia, PA. Her love of embodied practices lies in deep conscious play with unconsciously held patterns in the body. This work is in thoughtful effort to unravel internal conflict and establish personal strength that is rooted in compassion and creativity. Through EMBODIED ARCHIVE, she offers workshops and one-on-one movement guidance to anchor our ability to continually (patiently, gently, bravely) return to the body as both site and resource for true change. See more at www.embodiedarchive.com.